A growing company with a rising headcount has to keep their payroll processes intact in order to comply with regulatory requirements. This is a cumbersome process because calculating, processing and reporting payroll components such as government remittances, benefits, allowances and deductions must be done with proper care. Working with experienced, fully qualified professionals at Singapore Tax Accounting Services will speed up the process, and ensure the accuracy of delivery while remaining compliant with the latest legislative requirements. We have an extensive knowledge of the payroll and benefits administration practices in the region. Our professionals render domain expertise and manage the process locally while enabling our client companies to have an overall, unified, regional level interface to improve visibility and data analytics. We are always up-to-date with frequently changing payroll related legislation and the requirements of IRAS. This ensures all IRAS deadlines are met when we deal with IRAS on your behalf. Our service ensures that government remittances such as CPF are paid on time, tax filing requirements are adhered to, and the payroll information is kept confidential off-site. Our proprietary payroll and expense claim management software alleviates the administrative burden of managing complex payroll activities with features and services that enable you to gain control of payroll. With this, you get the benefits of customisation, scalability, employee access, easy compliance management, as well as leave and attendance management. Additionally, it eliminates errors in claim reconciliation figures, tracks and helps manage employee expense claim with minimal administration and maximum efficiency. There are a number of statutory requirements for Singaporean employers regarding their contributions per employee. These include the Central Provident Fund (CPF) contributions, Skills Development Levy, Foreign Worker Levy (FWL), and contributions to Self-Help Groups (SHGs) and SHARE donations. We take care of all these, as well as IR21 and IR8A forms; allowing you to spend time on more productive work in your business. Here’s everything you need to know about statutory requirements for employers in Singapore. We provide a range of services, including an option for payroll-only service, where you can continue keeping your own accounts while we provide the payroll and accounts information you need. We also provide payroll services to businesses with a single employee to over 50 plus employees. 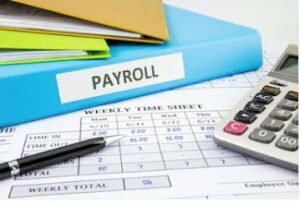 We provide payroll services to businesses in Singapore and abroad. No matter where your business is based, our payroll services can be provided by telephone, email or post. Our payroll clients can also receive free HR advice if they have questions that are best answered by a HR professional rather than a payroll professional. We also help you deal with Auto Enrolment to ensure you get your pension scheme set up or if you need ongoing assistance to stay on top of the regulations. 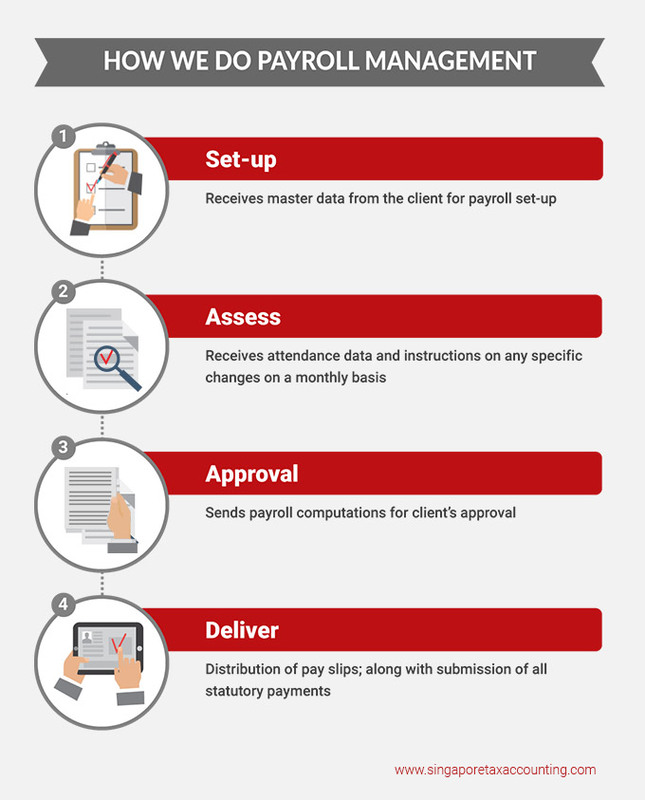 Get experienced, fully qualified professionals to manage your payroll in Singapore, and remain compliant with speed and accuracy.